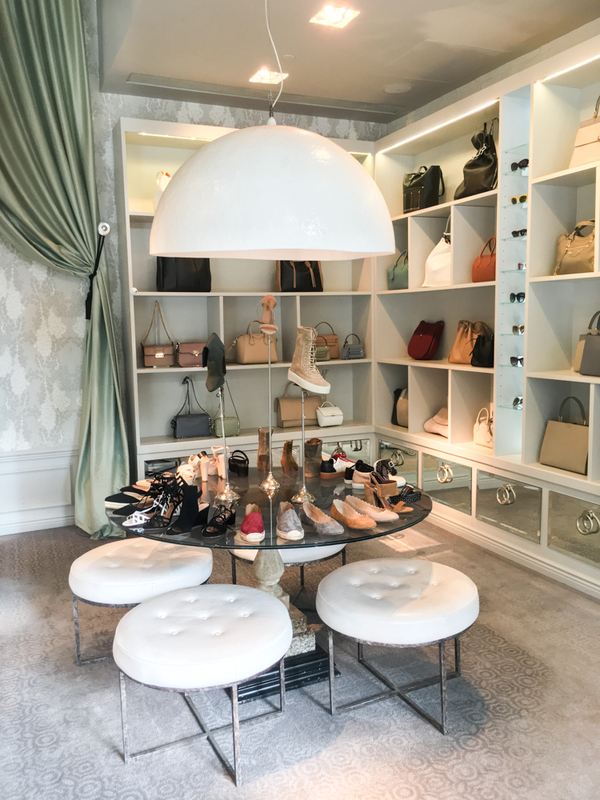 This past weekend was so gorgeous that Armaan and I decided to head into the city for a day to meet some friends and obviously, fit in a little shopping! Right now were in New Jersey, so it’s super easy for us just to hop on that train which gets us right to Penn Station in 30 minutes. I get so many emails asking where the heck I live, since I frequently post snaps and photos of me in the city, haha! 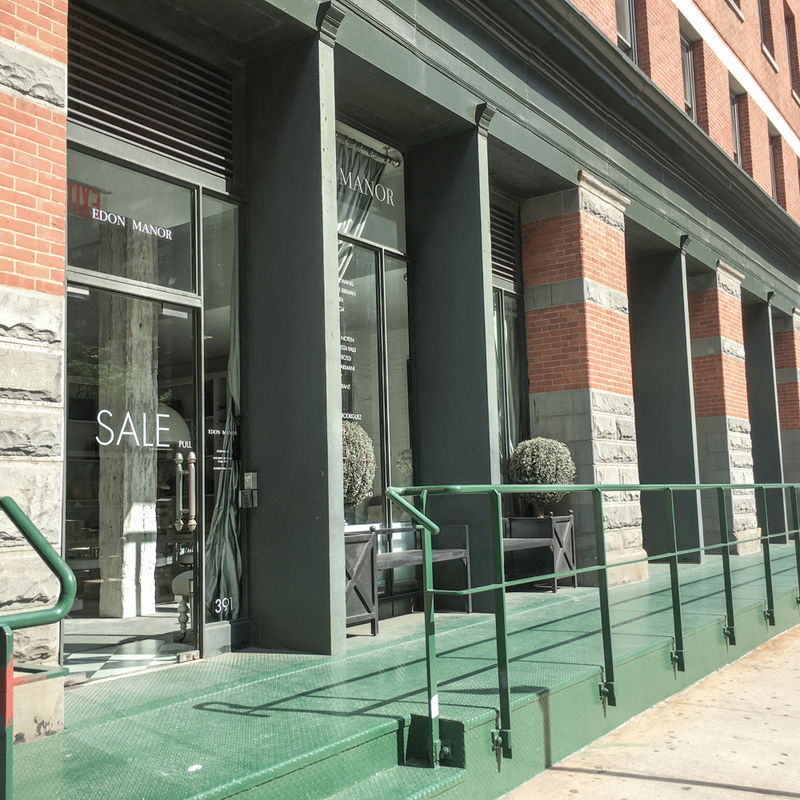 Anyways, we decided to do some Tribeca shopping, one of my favorite areas of the city – not only for shopping, but eating too! Side note: If you’re ever around that area (and hungry) try Locanda Verde for brunch, Tamarind for Indian or Smith & Mills for a cocktail. Anyways, back to shopping! 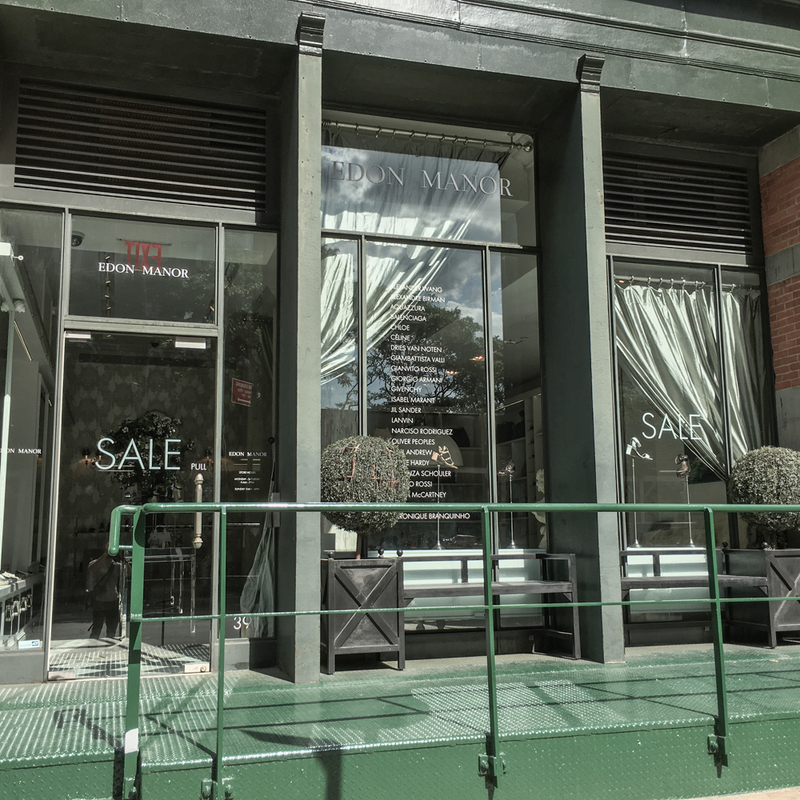 Edon Manor is like walking into a little slice of London in Tribeca. Think of a mix between chic English library meets a British countryside manor house, and you have yourself this little spot! 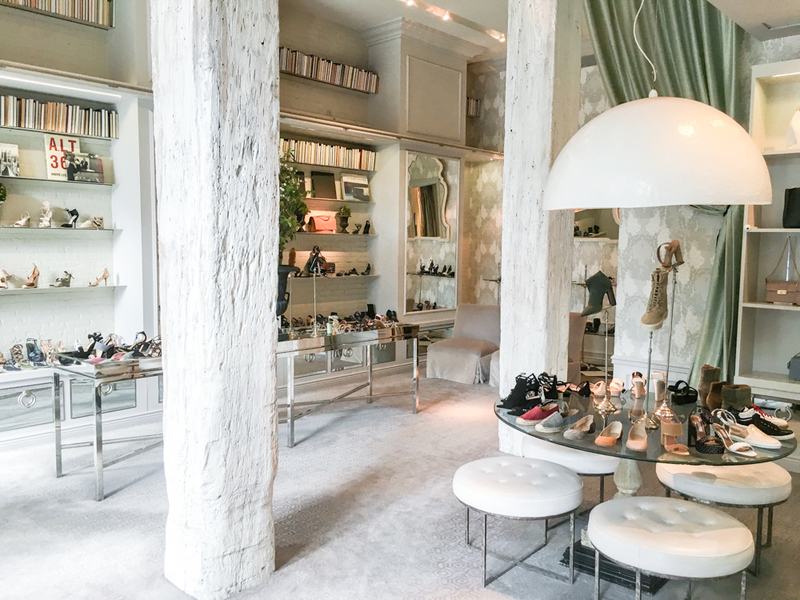 The interior of this store is swoon worthy, and so are the brands they carry. 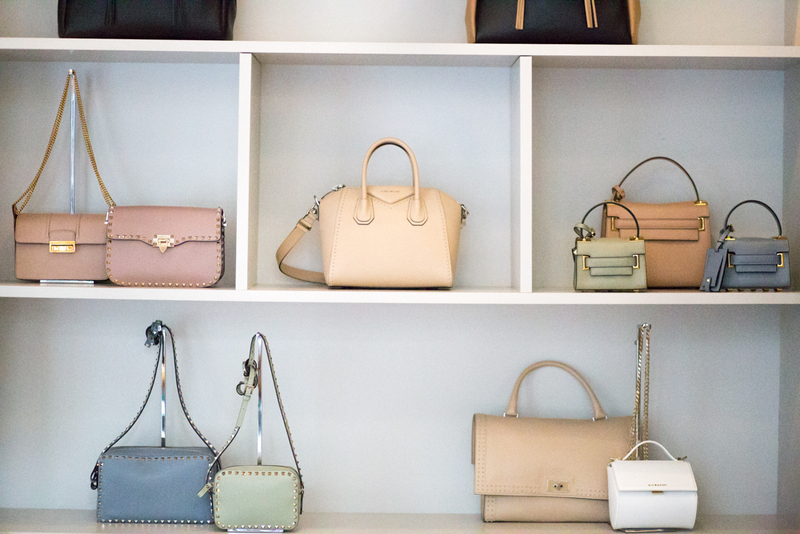 From Chloe to Valentino, this is where to go if you’re trying to snag a luxury purse or heels! 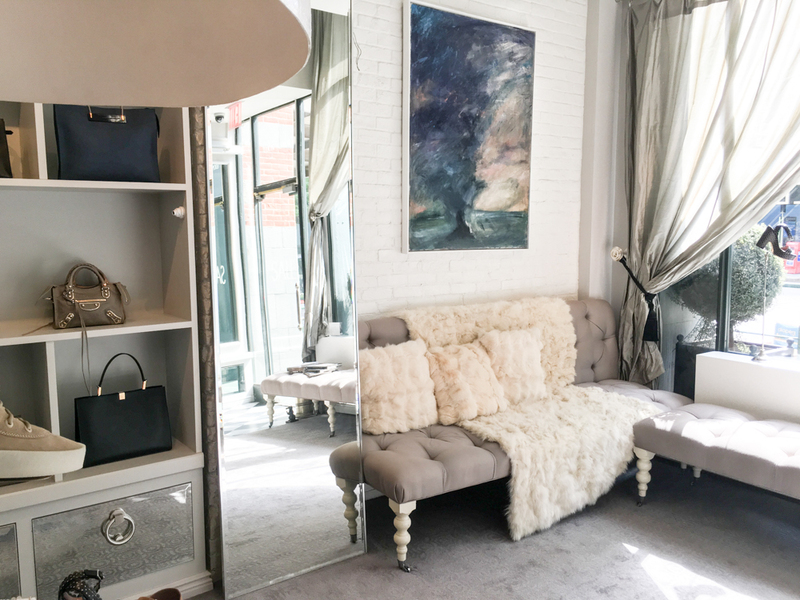 The trendy boutique sits on a relatively (relative in NYC terms) quiet street in Tribeca, and is definitely the place to visit if you’re looking to treat yo’self to something fancy! I picked up these Chloe flats I’ve had my eye on for a while, and thinking about my next purchase. 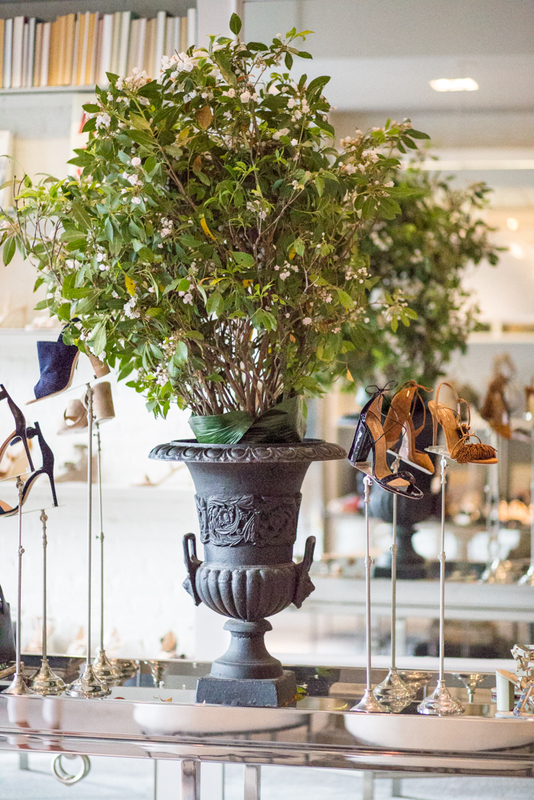 If you can’t make it to the storefront, you can also shop what it carries online with FarFetch! If you haven’t heard of FarFetch, its an online community with more than 400 boutiques around the world – that you can shop online! 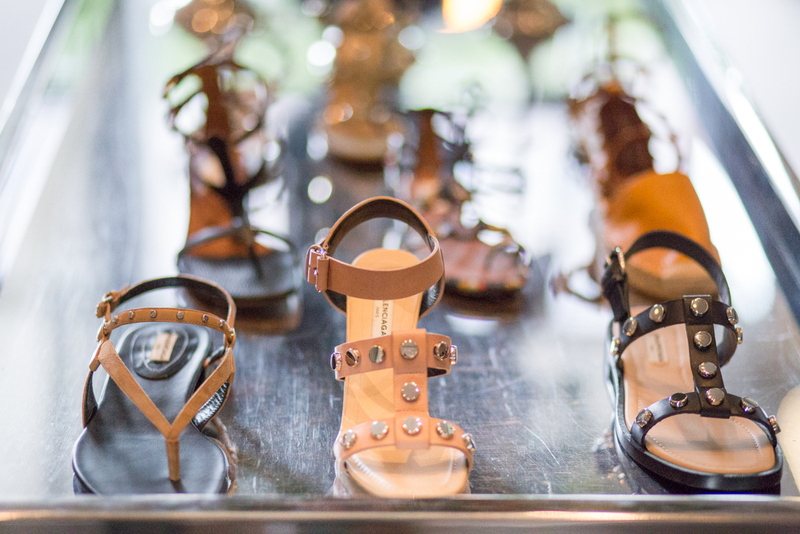 Their sales are phenomenal too, like these flats that you can score for 30% off (but full price everywhere else!). 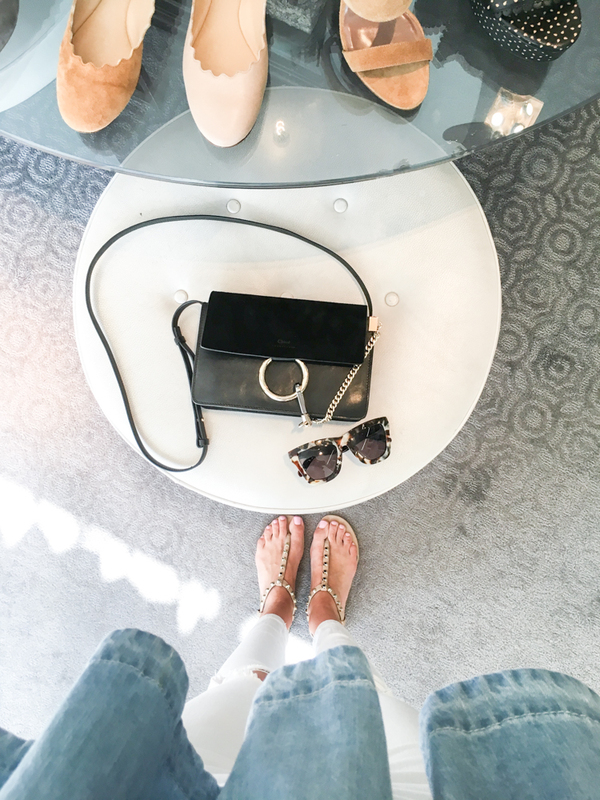 Thanks for reading gals & I’d love to know your NYC shopping recs! XO! Oh my goodness, of course! And girl – Edon Manor is DEF the place to treat yourself! Let me know if you hit up any of those places. Locanda Verde has an AMAZE brunch! This outfit is so gorgeous! Easy, chic and it looks so comfortable for a day of walking around and shopping. I’m a big fan of white skinnies so I’ll definitely have to check out some chambray tops to go with them this summer. Thank you so much for the sweet words Jaime! 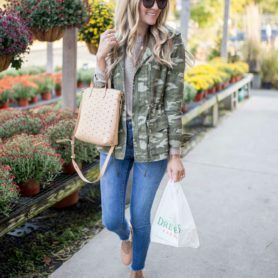 I thought this chambray was so fun – such a different take on a normal chambray shirt! Loving your white and blue combo, and these tips are great. I am counting down the days until I can come visit again! Thank you pretty lady! YES, please let me know when you (and maybe that sweet little baby will here by then!) XO! How am I just learning about Farfetched now? I’ve been browsing for quite some time and it is a dangerous site, haha! Hubby is in trouble now!!! Dangerous is SUCH a good word. The sale section is just too much goodness. This shop looks adorable and so do you! I can’t believe your top is from SheIn!! They been blowing me away lately! Thank you so much Heidi! UM right?! And the quality is AMAZING. I was so surprised (sometimes that site is a hit or miss) since it is so luxe! LOVE those scalloped flats! I may have to check this place out when I’m in the city next week! 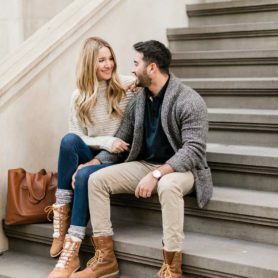 Love your outfit and hair, and how cute is this shop! 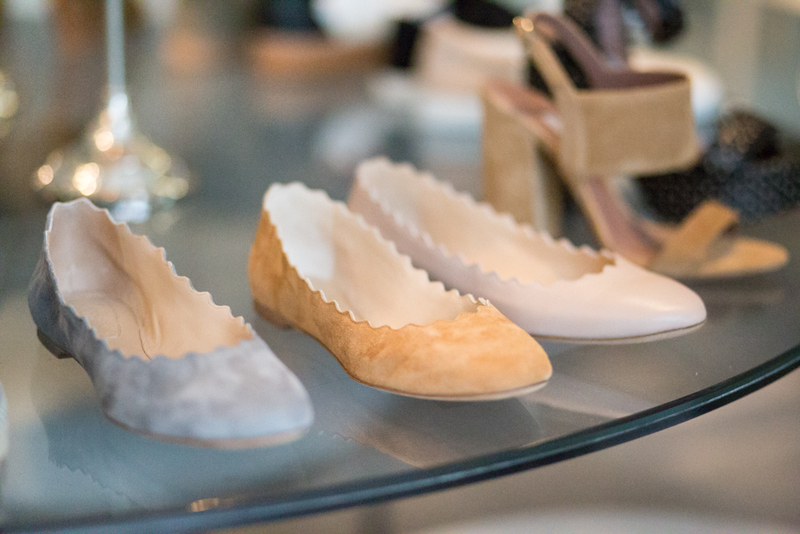 Adore those scallop flats!